Over the last few days in our Krafty Peeks, we have shared lots of ADORABLE new stamps from all our artists! We’ve got something for everyone!! Lulu is back from Cheryl Alger…..we know how much you love her!! So we have a new set called LULU ON THE MOVE! We also have TWO fantastic sets of whimsical FAIRIES from Emilie Goulet called FLIRTY FAIRIES 1 AND FLIRTY FAIRIES 2!!! And of course we have an amazing new set of six EVERYDAY GIRL stamps from Annie Rodrigue, featuring stamps for the teacher, nurse, wedding/anniversary, graduation, I love you cards and get well cards!!! OH and don’t forget the BRAND NEW line of stamps called EVERYDAY TRINKETS by the lovely Nicole Aspinall!!! 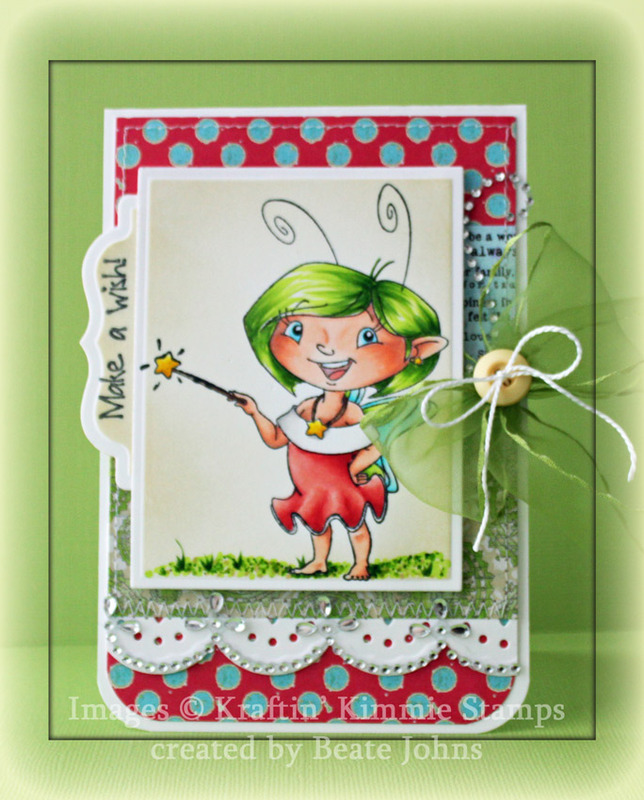 For my sample today I had to use another darling Fairy from one of Chery’s Flirty Fairies set. I stamped her in Tuxedo Black Memento Ink on Neenah Solar White cardstock. The image was cut and embossed with a Classic Rectangle Nestabilities die and colored with Copic Markers (Skin: E000, E01, E11 Hair: YG00, YG01, YG03, YG17 Eyes: B01 Dress: R20, R21, R22, R24, T1 Stars: Y06, Y08, Y17). The edges of the rectangle were sponged with Antique Linen Distress Ink. A 3 1/2″ wide strip of white cardstock was cut and embossed with one of the Classic Scallop Edge One dies and an insert from the Classic Decorative Insert Five. The strip was adhered underneath on of two 3 1/2″ wide strips of Pink Paislee She Art patterned paper that were adhered to a 3 1/2″ x 5 1/4″ piece of the same paper pack. The bottom corners were rounded and the edges were stitched before green May Arts ribbon was tied around the paper. The bow was topped with a button tied on with embroidery thread. The layers were adhered to the card base, a 3 3/4″ x 11″ piece of Solar White cardstock, folded in half. 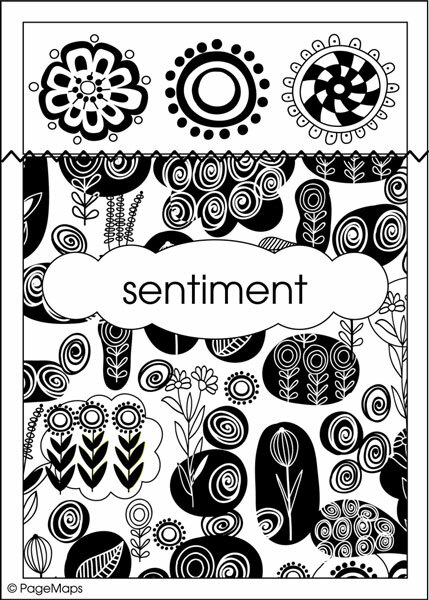 A sentiment was stamped in Tuxedo Black ink on a piece of white cardstock, cut and embossed with one of Pagemaps Labels & Tags dies. The embossed part was sponged before the tab was adhered to the upper left hand side of the image. The image was adhered to the card with dimensional adhesive. Fancy Waves! Border bling on the scallop and Endless Waves! Border bling above the bow finish off the card. Make sure you check out the other blog hop participants. The best way is to start at the Kraftin’ Kimmie Challenge blog and hop from there, so you don’t miss any blog. 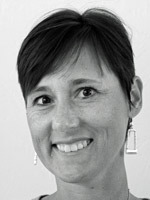 The next blog from here is Melanie. I have a new video up on the Spellbinders blog today where I talk about Edgeabilities. I love how versatile those dies are. 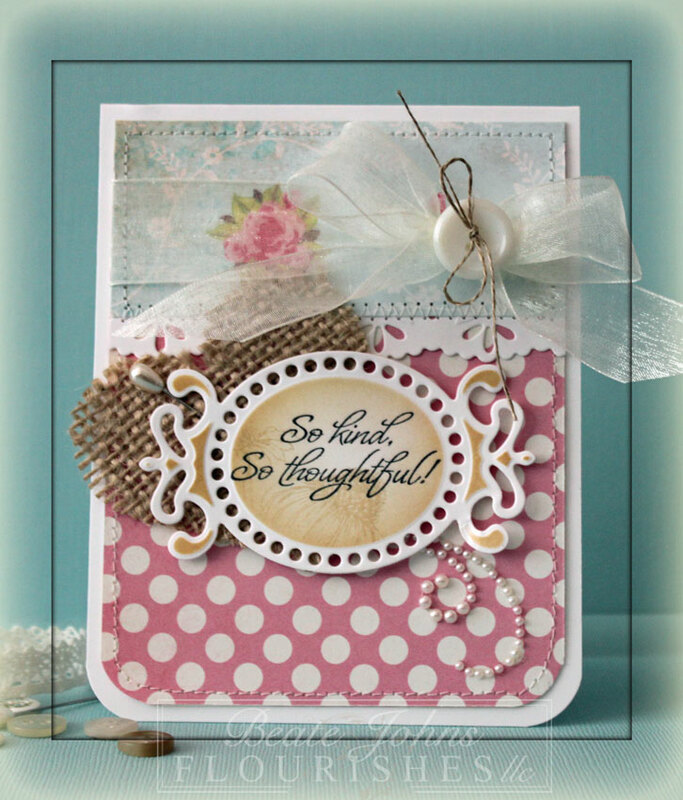 My sample is made with a brand new JustRite Stampers set called Botanical Medallions & Banners. As a layout a September 2011 CardMaps sketch. I hope you have time to check out the entire card and video. Of course I had to add a bit of ribbon and sewing, but otherwise, I think I stayed true to the sketch. I started with cutting and embossing a 4″ white strip of Solar White cardstock with one of the Eyelet Borderabilities. It was adhered to a 1 3/4″ x 4″ strip of Vintage Whimsy The Girls Paperie paper before they were both stitched to a 4″ x 5 1/4″ piece of Jubilee The Girls Paperie Paper, which had the two bottom corners rounded. Ivory Organdy Ribbon was tied over the upper layer and topped with a button and linen thread. The layers were adhered to the card base, a 4 1/4″ x 11″ piece of Solar White cardstock, folded in half with the bottom corners rounded. The sentiment is from Flourishes “With Gratitude” set. I love this set and seem to use it all the time lately. The sentiment was stamped in Jet Black Archival ink in the center of a piece of white cardstock that had been cut and embossed with one of the Fancy Tag 3 dies. A partial image of a flower was stamped in the center and the entire tag was sponged with Vintage Photo distress ink while the die was still placed over it. Burlap was cut with one of the Classic Heart dies and adhered to the upper left hand side of the card. A Pearl pin was stuck through it. Before the image was adhered with dimensionals, part of a Finesse pearl swirl was added to the lower right hand corner.